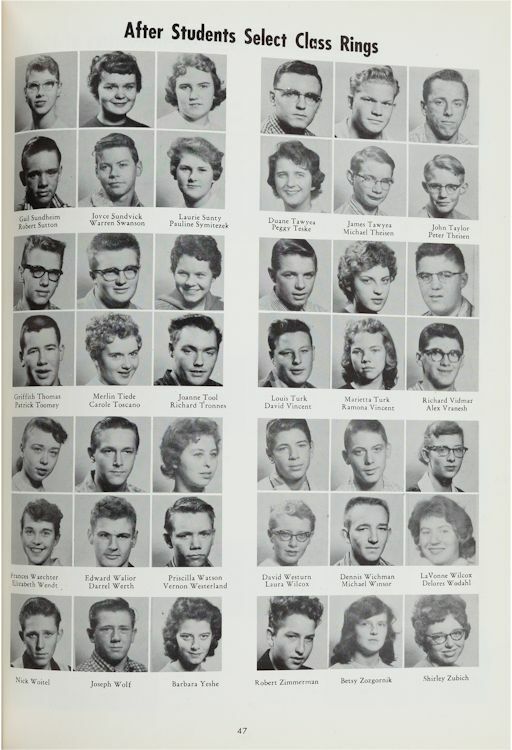 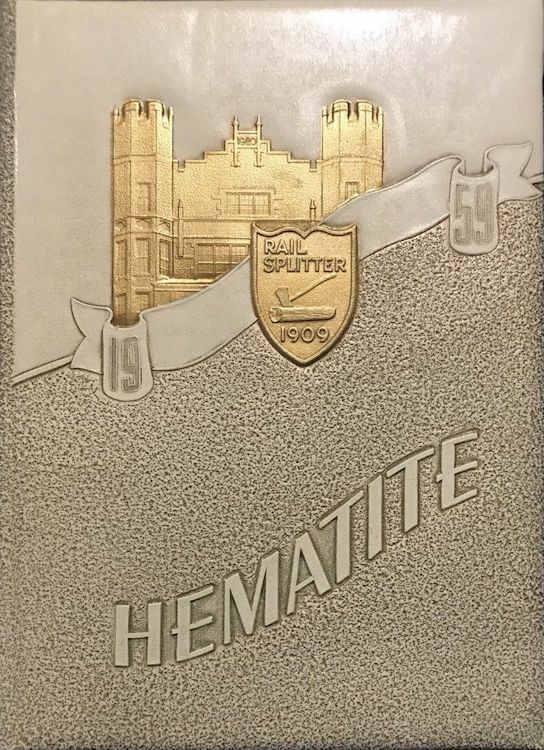 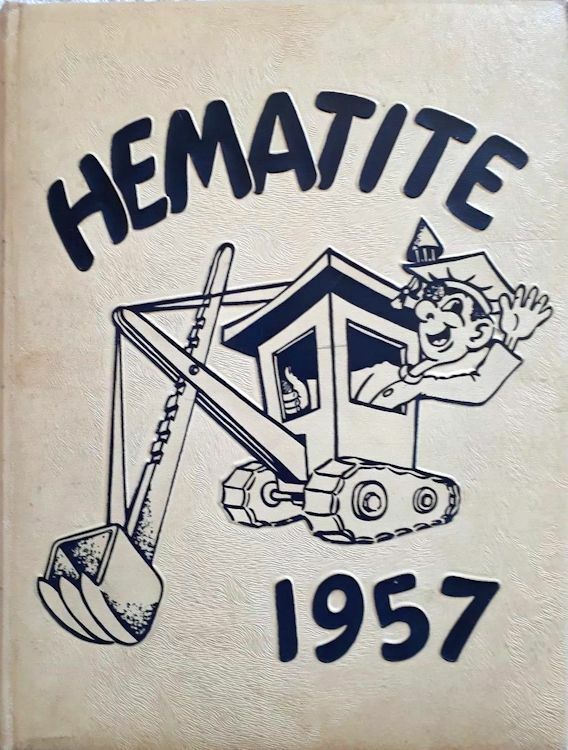 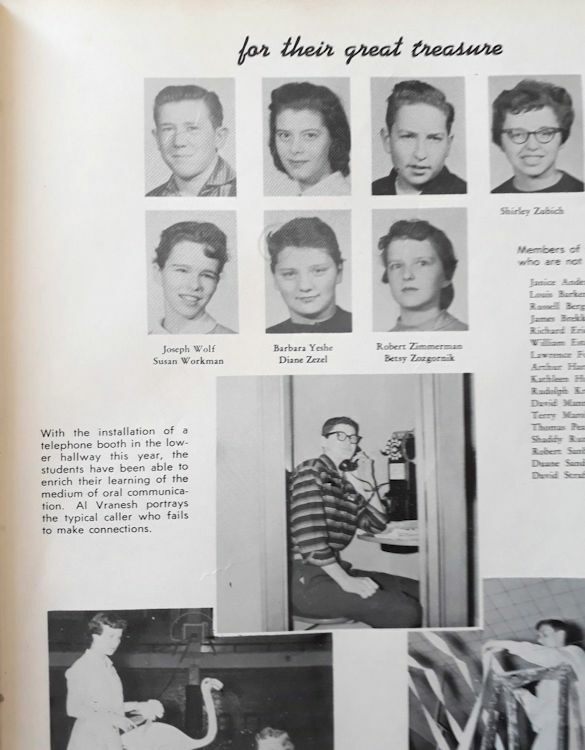 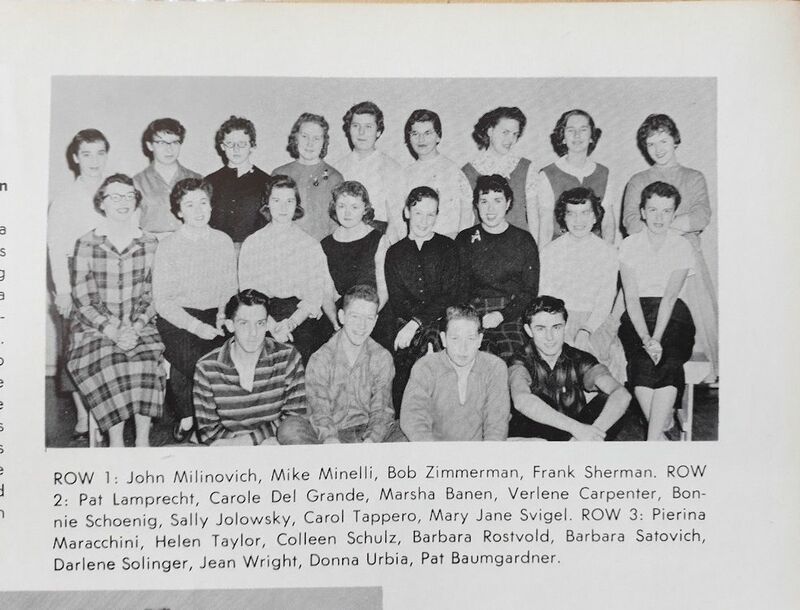 HEMATITE: THE HIBBING HIGH SCHOOL YEARBOOKS: 1957, 1958, 1959. 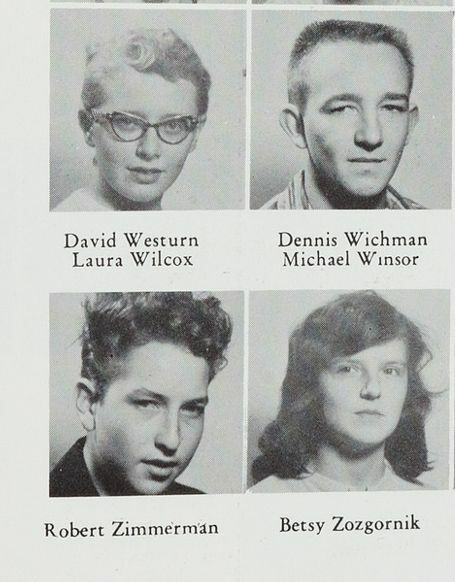 Bob Dylan attended Grade 2-12 at Hibbing High School. 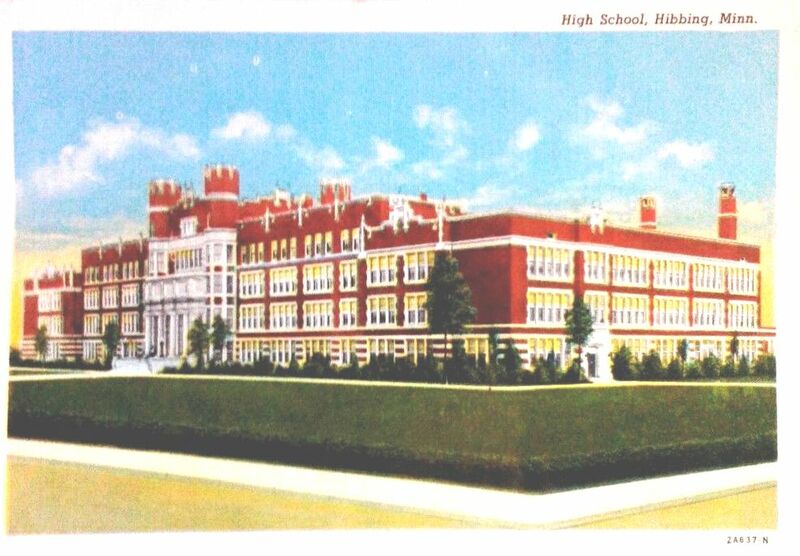 Hibbing High School 1950's post card. 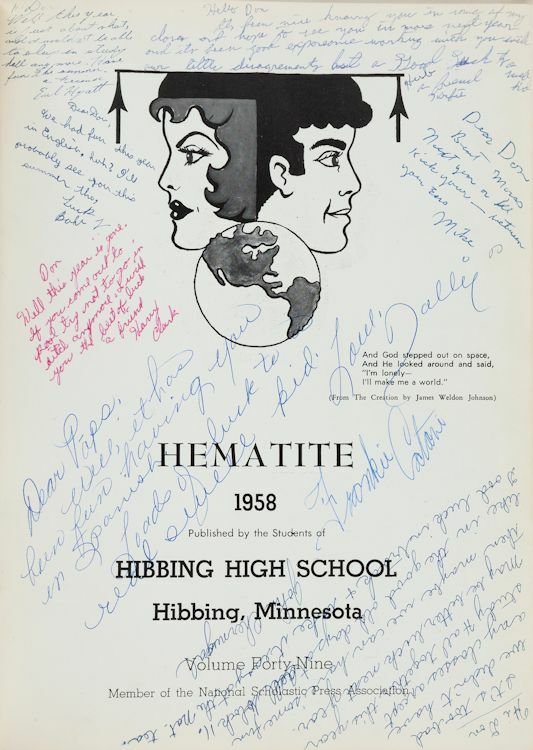 Signed and inscribed copy of the 1958 Hibbing High School Hematite yearbook in blue ballpoint pen. 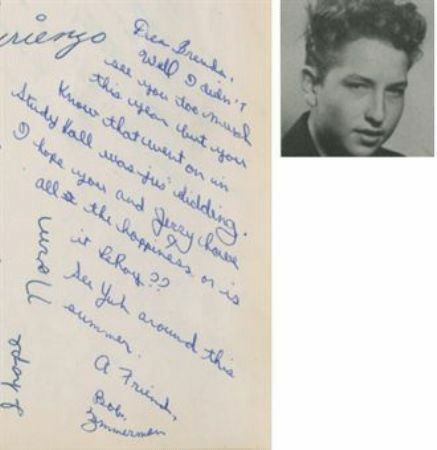 Dylan has written to a fellow classmate: "Dear Brenda, Well I didn't see you too much this year but you know that went (sic) on in Study Hall was jus' kidding. 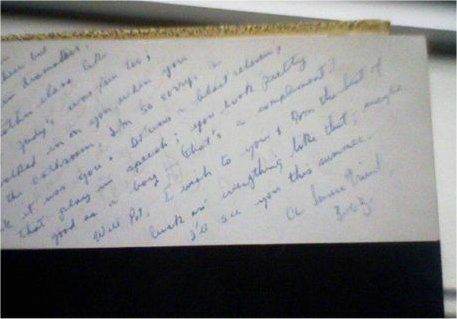 I hope you and Jerry have all the happiness or is it LeRoy?? 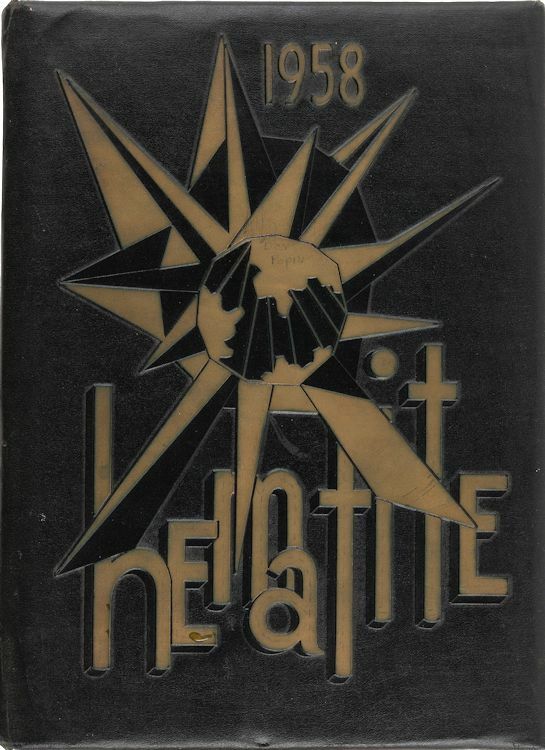 See yuh around this summer. 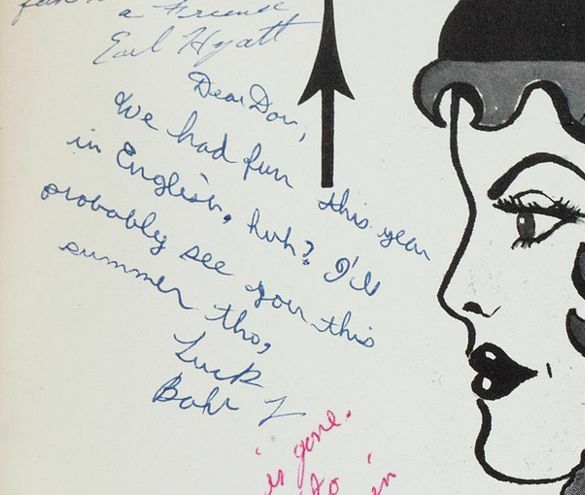 A Friend, Bob Zimmerman". 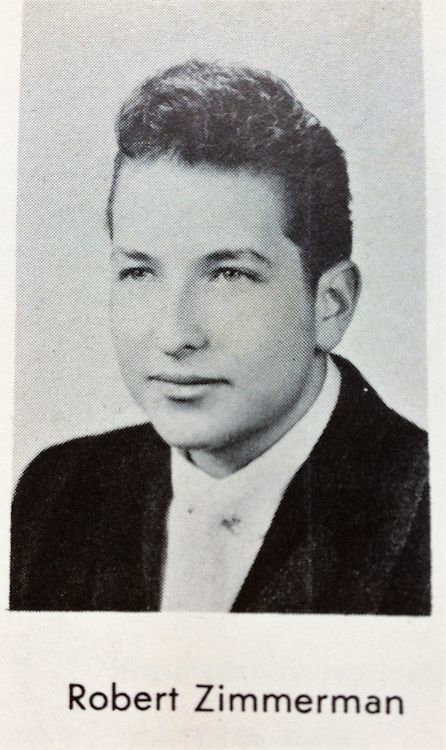 Dylan, known then by his birth name, Bob Zimmerman, graduated the following year. 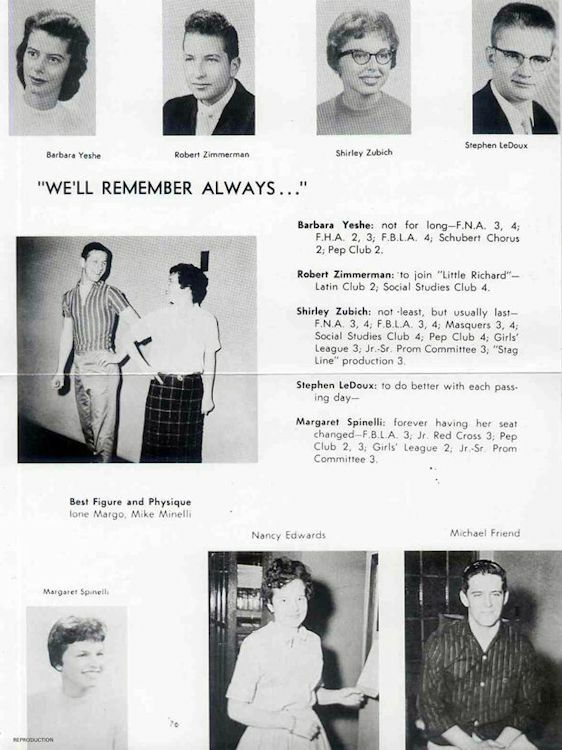 "We'll Remember Always..." Robert Zimmerman wrote: "To join Little Richard"
1959 Senior Year School Yearbook, inscribed with a note: 'Bob Z. to his high school friend Pat'.